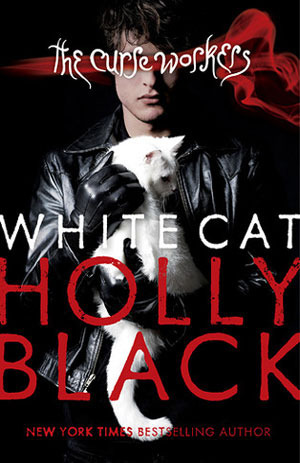 The Curse Workers, Book 1: White Cat by Holly Black. Here’s an exciting series for teens who like something akin to down-to-earth magic. This series is about a family of curse workers living in New Jersey. Certain people are born with certain abilities. They are known as curse workers, or just workers. With a simple touch of a finger, they can manipulate someone’s emotions, dreams, memories, luck. Some can kill. Some can transform others. The interesting aspect of this is that whenever a worker “works” somebody, the worker is also affected. This is known as blowback. If you erase a memory, you lose a bit of your own. If you manipulate someone’s emotions, your own become unstable for a while. Nevertheless, the organized crime syndicate does not let this stop them. Not knowing who may or may not be a worker has created a world where everyone wears gloves, just in case. Cassel Sharpe is a teenage boy who comes from a long line of workers. He himself is not a worker, but his grandfather is a death worker, his mother an emotion worker, and his brothers are memory workers. They are all deeply embedded in a crime family. Cassel has spent his life not feeling included because he lacked the skill of the rest. He has also been haunted by the memory of killing his best friend, a girl named Lila, daughter of a major crime boss. But one day, he starts having strange dreams. It would seem a dream worker is communicating with him. But why? He begins to dig and realized that even his own memories cannot be trusted and that everything he thought he knew about himself, and his family, is not what it seems. This is a unique and intriguing series. It blends the supernatural with the very real angst of being a teenager. Cassel’s life is full of the social stress of high school, compounded with coming from a crime family and being a killer. Good book for teenagers and adults.